[Lord Buddha renounced this material world to practice the means of attaining Nirvana or the ultimate annihilation of all distress. He preached the cult of non-violence. “[The Buddhists or other religionists who do not care for revealed scriptures sometimes say that there are many devotees of Lord Buddha who show devotional service to Lord Buddha, and who therefore should be considered devotees. In answer to this argument, Rupa Gosvami says that the followers of Buddha cannot be accepted as devotees. Although Lord Buddha is accepted as an incarnation of Krsna, the followers of such incarnations are not very advanced in their knowledge of the Vedas. To study the Vedas means to come to the conclusion of the supremacy of the Personality of Godhead. Therefore any religious principle which denies the supremacy of the Personality of Godhead is not accepted and is called atheism. Atheism means defying the authority of the Vedas and decrying the great acaryas who teach Vedic scriptures for the benefit of the people in general. 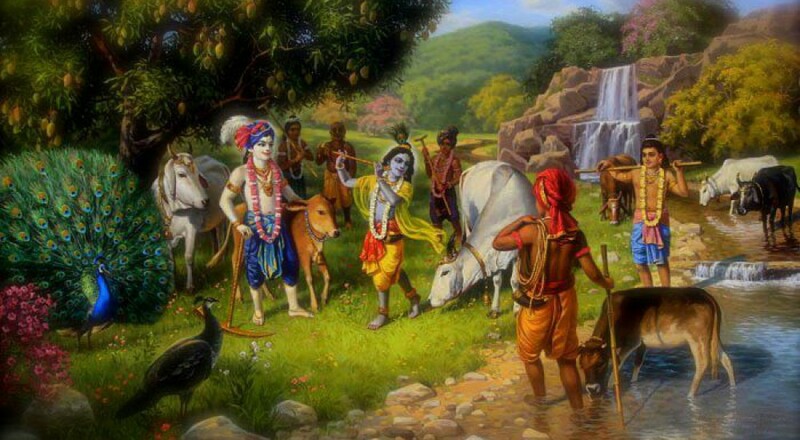 “[It is said that because Krsna was constantly performing various types of sacrifices and was inviting the demigods from the higher planetary systems, the demigods were almost always absent from their consorts. Therefore the wives of the demigods, regretting the absence of their husbands, began to pray for the appearance of Lord Buddha, Krsna’s ninth incarnation, who appears in the age of Kali. In other words, instead of being pleased that Lord Krsna had come, they began to pray for Lord Buddha, who is the ninth incarnation, because Lord Buddha stopped the ritualistic ceremonies and sacrifices recommended in the Vedas in order to discourage animal-killing. The demigods’ wives thought that if Lord Buddha appeared, all kinds of sacrifices would be stopped, and thus their husbands would not be invited to such ceremonies and would not be separated from them.